I feel a habit coming on. You know how they say that once you start working out consistently you start enjoying it and God forbid, even loving it? Well I’m at that point now. I am really enjoying going to Jiu Jitsu and I am actually looking forward to going every week. I enjoy the exercise and the people there are extremely nice so it make is that much easier to go in there three times a week. There is also a strong sense of community that really vibes well with me. What it also did is motivate me to exercise on my own. I find myself doing sit-ups, crunches and push ups on my living room floor on a yoga mat for crying out loud! This week I have also been a lot better with my food. 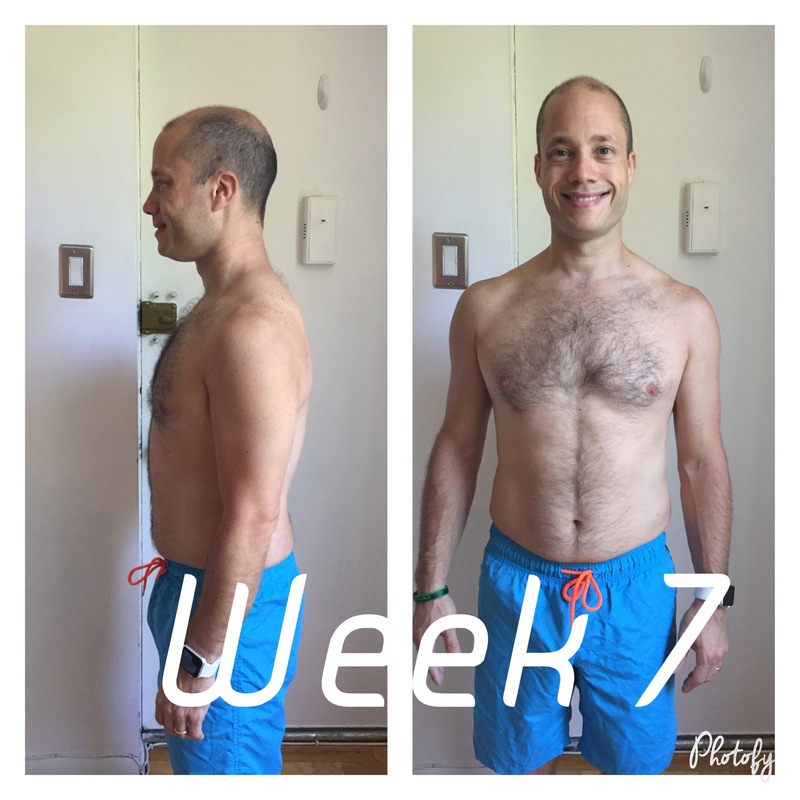 I stayed pretty much on track and had the best deep cleanse I have ever had. When I looked at the scale today and saw that I hadn’t put all of the weight back, I was very happy and my body is showing some results as well( as you can see by the photos above). Over the years I have tried different ways of exercise. I went to the gym, I tried running and personal training but I could never do it long enough where I enjoyed it and was willing to develop the habit. With what I am doing now I feel I am getting all of that. Not overeating and exercising at home. I require restoring my integrity. My weekly results posts usually go out on Sundays and this week it didn’t. It didn’t because I didn’t do very well this week and I was trying to avoid telling you all about it.I didn’t eat very well this week and that’s not including this past weekend. I am having a hard time looking past the instant gratification I have from eating my favorite foods and if I am tempted, I will not hesitate to break my promise to myself and indulge. My results oriented mind wants me to do better every week and when I don’t measure up to my own expectations, I drown myself in guilt. Although it’s admirable to want to do better each week, it’s not always very realistic and being critical of myself is not conducive to growth. However, this week wasn’t all bad. This week I went to my first Jiu Jitsu class at Brooklyn Brazilian Jiu Jitsu after I have been telling Marie for months if not a couple of years, that I was interested in trying it. As we all know from “Gone With The Wind” “wishin’ ain’t gettin'”. Me wanting to try something new doesn’t mean that it will magically appear before my eyes and fall on my lap. I had an interaction class with one of the teachers last Wednesday and then a full on class on Friday and I loved it! First of all it was fun just being around other adults and having that time to myself and secondly I finally got in a proper workout after two weeks of not doing nothing because of a groin injury. Since my goal is to finally discover those elusive six pack muscles I have heard so much about, I have been working out at home on my upper body and doing some strength training using my own body weight. Now that I am going to be working out consistently, I require to step up my diet game and pay attention to what I am eating. If I am committed to transformation then I require to transform my mindset around the food I consume. There will be ups and downs but what I require to remind myself is that this is a process and there will be progress but also setbacks. Posting two days late created a loss of integrity on my part and the way it affects you is that I promised to deliver my results On sundays no matter what. I made it about me and I have done a disservice to you, my audience. So from now on I will post my results on Sundays without fail and that is my promise to you. I want to be acknowledged for taking the plunge and joining a Jiu Jitsu class! Summer time TV – it’s bleak. Believe me, I’d much rather be out enjoying life than sitting home in front of the TV, but I’m in my third trimester of pregnancy and I have a 3 year old, so let’s face it, the TV is on more than I would like because I can’t get off the couch at the end of the day! Earlier this week after we stumbled upon a show called, “Extreme Weight Loss”, which until that day I had never seen or heard of. I knew of the show “The Biggest Loser” but wasn’t sure how this was different. They told the story of a 39 year old woman named Cassie who was currently 347lbs. She worked from home in Milwaukee and told the camera she barely left the house anymore since she was so unhappy with her weight. She did go through fast food drive-thru’s daily and one would assume this is what helped her reach 347lbs. She also had NINE television’s in her house! This started to make me squirm – because I totally get it, sitting in front of the TV isn’t great for you, and yet I was doing exactly that! Part of her journey included an accidental pregnancy at age 20 and the subsequent giving up her baby for adoption. It had haunted her for 19 years. She ate to stuff down her feelings of guilt and shame about giving up her child. This woman Cassie ends up achieving her overall goal to get back to the weight she was when she gave her baby up for adoption and I commend her for that. Over the course of the year she changes her entire lifestyle and also her husbands. At her grand finale she looks amazing, younger, happier and more in love with her husband than ever. She even reunites with her 19 year old son! It was very inspiring and I could see how editing can easily manipulate you into caring about someone that you’ve never met. I admit it, I even cried a few tears. But once the tears dried, I got to thinking – is this the whole story? Back in 2009, when I started writing this blog I wanted to contribute to the conversation about weight from the average American woman’s perspective. I was not 347lbs and and I was not 105lbs, I was your average size 12 American woman who wanted to get healthy. I had recently gotten married and was not in the health and wellness field at all. I just realized one day that when I watched tv or looked in magazines there was NO ONE I could relate to. As of 2010, the CDC reports the average American woman weighs 166.2 – not even close to the 347lbs that Cassie had to struggle with. For many of my clients 166.2 is a goal weight at this point! Myself included! These woman that weigh 166.2 probably work out, and definitely watch what they eat. They indulge occasionally and should cook more, but they are not getting the results that they want fast enough, so they get discouraged and order a pizza. I’ve been there – believe me! I will go as far to say that it’s even harder for us size 12s to lose weight and improve our lifestyle than anybody else. Case in point, last year when I had finally tried EVERYTHING to lose weight and was getting ZERO results I was at yoga minimum 2x per week, also swimming 2x per week and eating the best diet I ever had. I was a health coach for pete’s sake! I was not driving through McDonald’s twice a day, I can assure you! Here’s the truth that Extreme Weight Loss and the rest of media don’t really tell you, losing weight is 80% diet and 20% exercise. I probably had the equation more at 50-50 than 80-20. But watching people eat grilled chicken with brown rice on tv isn’t very exciting is it? And by the way, we don’t want to scare away any of those food companies advertising dollars, do we? I mean, the broccoli council doesn’t have the money to pay for commercials like Beef, Dairy or Pork, right? But if we just promote exercise we don’t really offend anyone from Tyson or Smithfield, so let’s run with that! LOL – run! Listen, I’m all for exercise as a means of stress release and conditioning. When I lose 15lbs last year I completely changed my diet and I barely exercised because I couldn’t do it all at the same time. 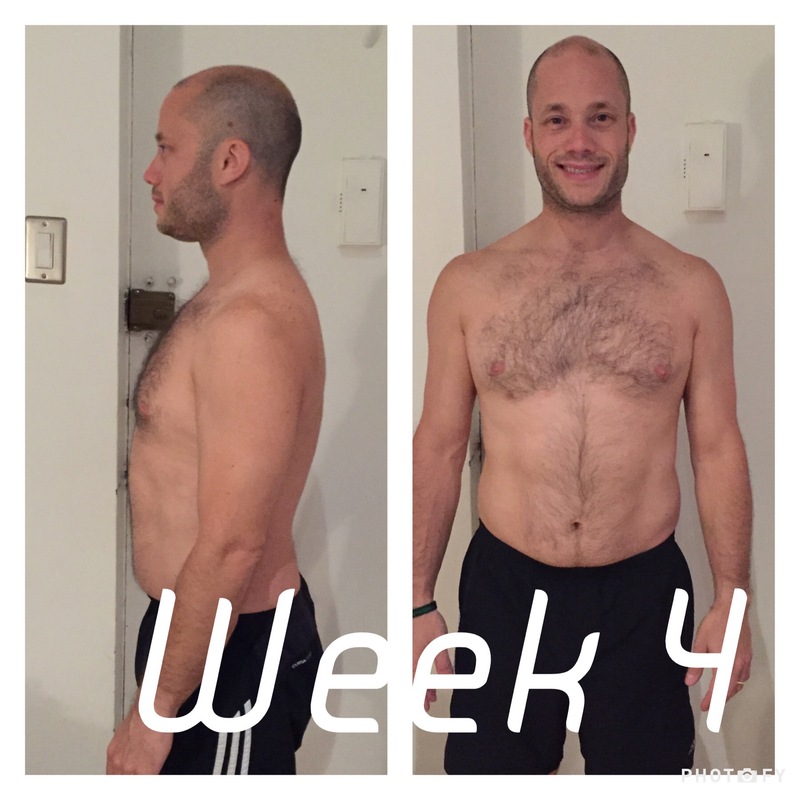 My yoga practice faltered, but I still lost weight. I was totally working the 80/20 groove. Now that I’m pregnant, I still try and swim 2x a week because I enjoy it and the pool is one of the few places I feel light, but it’s not for weight loss. I also still enjoy my whey protein shake every morning because it boosts my metabolism and I like it, not for weight loss. Once I deliver this beautiful baby, I will require to lose weight. I will not have a ton of time to be in the gym, but I will still need to eat everyday. I will go full force into 80/20 and resume eating the way I know I should for weight loss. I think the best exercise is the kind you love and can do consistently. If you love taking walks then do that! If you love swimming as I do, do that for 25 minutes and it’s better than nothing at all. This is not about being in the gym for hours a day, this is about consistency and maintenance. I loved Bikram yoga, but when a class is 90 minutes it’s really hard to fit into a schedule sometimes. You have to find what works for you. If you’re planning to get your weight down, focus on the diet first and foremost. Don’t worry about the fact that your gym membership is basically a “charitable donation” at this point. Just get your diet to a place where you’re eating right for your body type. Eventually the exercise will start to happen, but it’s not required to lose weight, especially at the beginning. Here’s the crazy thing, a quick Google search led me to this recording of Cassie from Milwaukee talking about her transformation on local radio. She says the show portrays her journey as all about exercise, but it isn’t. I wonder if the execs over at ABC know this? She’s still a very inspiring woman, and I liked her message in this interview especially. Losing weight is so much more than calories in/calories out, but about filling a void inside of you with love and not excess of food and drink. I doubt I’ll be watching Extreme Weight Loss in the future, but I was glad to see Cassie’s story and to be able to reflect on the 5th anniversary of this blog on why I started it in the first place. Thanks for reading for the last 5 years! This is the same way I built my exercise routine. In November of 2011, I was 4 months postpartum and knew it was time to get my body in shape. Inspired by watching a friend run the NYC marathon, I went to a Bikram yoga class the very next day. It was tough to get through that first time. There were poses where I couldn’t even touch my toes and that was a little embarrassing. What little yoga practice I’d had before having my son was long LONG gone. But the feeling of accomplishing a 90 minute class was euphoric and definitely out-weighed a little bit of “out of shape” embarrassment. I went to another class, then another. Then decided to do a 30 day challenge. Once the challenge was over I settled into a regular 3x a week practice. This was the first time IN MY LIFE that I’d done any kind of regular exercise. In the past any regular exercise had been a dance class I was enrolled in or dance rehearsals for a show I was doing. It was never something truly self-motivated. I was able to keep up this pace for a year, which as a new mom and working full time, I saw as a huge accomplishment. The next November, in 2012, I had recently become a stay at home mom (SAHM) and thought (quite wrongly) that finally, I’d have more time to get to yoga! Quite by accident, one morning on my way to yoga I stepped on a small piece of glass in my living room. I’m still convinced it came in the house on my dog walker’s shoe. I was in agony and had to run to the LICH emergency room (when it was still open). My trip to the ER revealed nothing. But I knew there was something in my foot because it HURT LIKE HELL. No X-ray was needed for me to know that much. I was distraught. I could barely walk, let alone take a 90 minute yoga class. But what about all my goals of getting to yoga daily and having one of those bodies that people envy? How would I do this with a damn piece of glass in my foot?? I started to plummet deep into despair. Don’t forget, I was a new SAHM who was grasping at some type of routine to fill the hole left by working full time. The ER suggested I soak the foot to coax out the glass. Then I realized, if I could get to the gym I could swim without hurting my foot. Soak the foot, indeed. I pulled out a bathing suit and some goggles and headed over there. I really enjoyed swimming. It’s low impact but a great full body workout. It took a few trips to find a rhythm again, but soon I was gliding through the water! Eventually (4 days later), the glass came out of my foot! Thanks ER for telling me there was nothing on the X-Ray. Now I’d accidentally started swimming in addition to my yoga. It felt good, so I kept it up! I continued this way – swimming & yoga – for a year. Sidenote: I HATE RUNNING. I hated it in high school when we had to do the damn NY state test and I struggled to do the 13 minute mile. I would run the straight-away and walk the curves of the track just so I could catch my breath. I never had the lung capacity for running even as a teenager. If Zombie’s are ever chasing me, I’m in trouble – like ‘Marie Becomes a Fellow Zombie” kind of trouble. 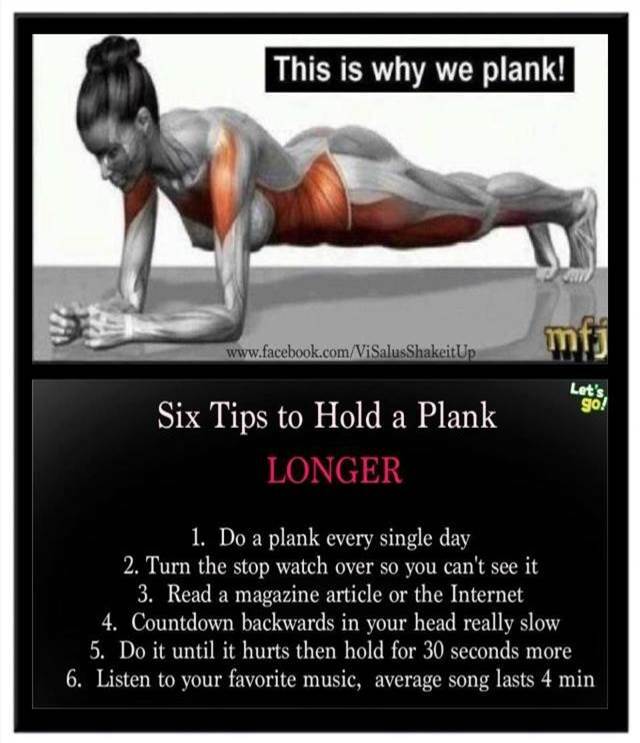 Next we did the plank position. I’ve actually never done it before and despite looking easy, it is not. It’s positions like this that scare me away from other types of yoga! Then we did push-ups (I’m rubbish at these) and some squats (I felt the burn the next day!). Overall, Rich said I was in good shape but had some areas to improve. I was in an average place with my cardio – which I saw as a complete WIN. The girl with the crappy lung capacity is average, yay! Rich suggested we do some circuit training together combining free weights, machines and resistance exercises. I told him my goal was “Michelle Obama arms” and the stomach of a woman who hasn’t had kids yet. Lofty goals indeed! Now that we’ve begun training once a week, I’m already seeing improvements. I can hold plank position longer, I can run further, and I feel challenged in a new way. It’s very helpful to have a coach guiding you, motivating you and tracking your progress. I don’t quite have the Michelle Obama arms, but in terms of exercise, I’ve taken the bacon off my sandwich. It’s a start! 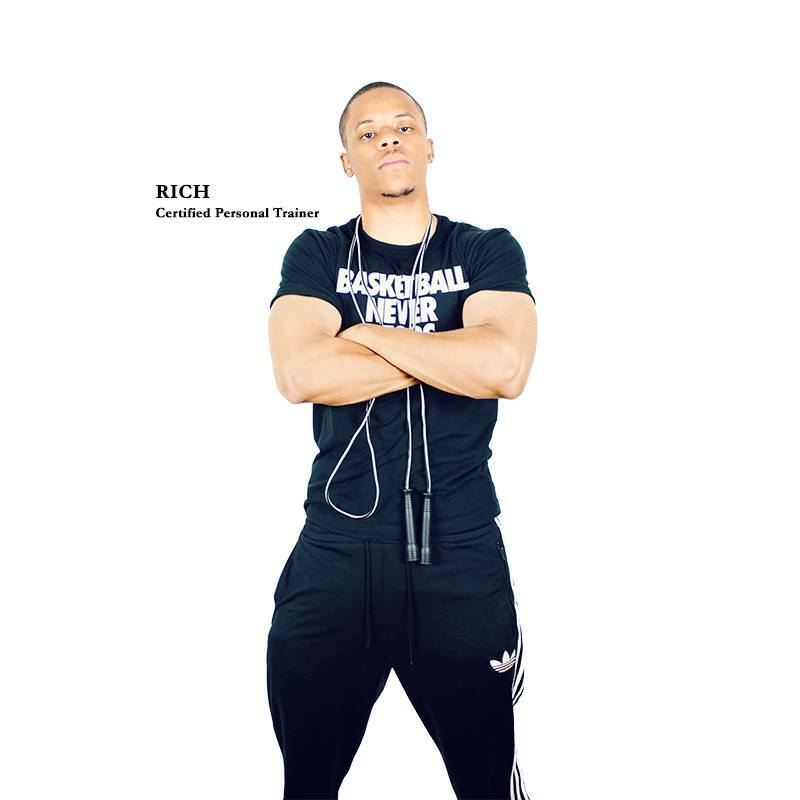 Rich has a fabulous website called Fitness Ladies where you can get information on workouts and diet plans. Plus you can read articles by me!